The English Prince Edward of Woodstock, Prince of Wales, lived from June 15, 1330 to June 8, 1376. 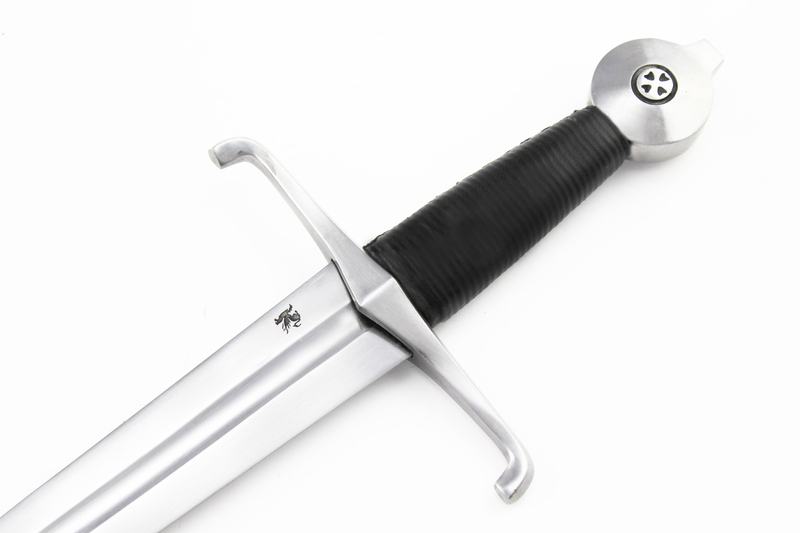 He is a well known historical figure; well known for his chivalrous (and occasionally non-chivalrous) actions. 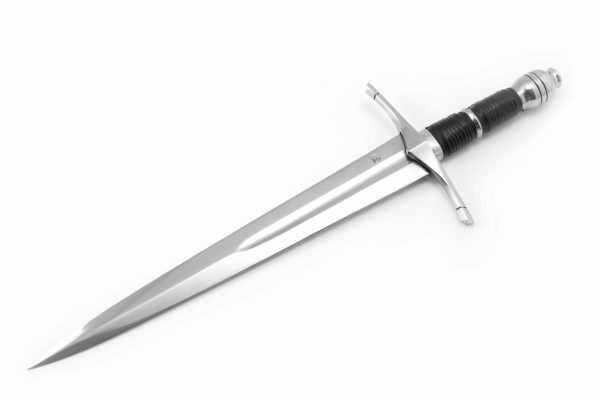 The English Prince Edward of Woodstock, Prince of Wales, lived from June 15, 1330 to June 8, 1376. He is a well known historical figure; well known for his chivalrous (and occasionally non-chivalrous) actions, and for never being crowned king despite being the eldest son of King Edward III – he died before his father, and the crown passed to his son Richard instead. 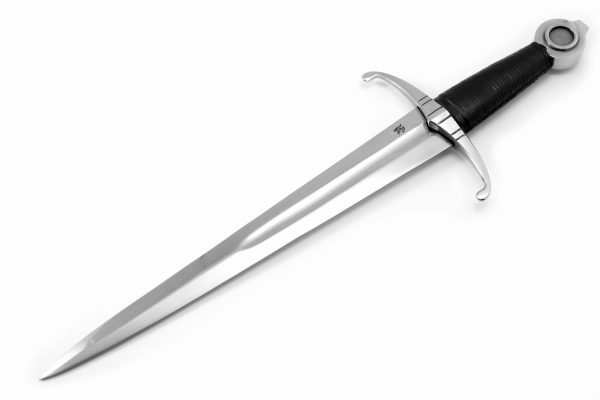 Edward would also later come to be known by a nickname of indeterminate origin – “The Black Prince,” a name well known to scholars in the fields of art, history, literature and theater. This popularity was surely affected when a sword that was discovered in the mid 20th century was identified by Ewart Oakeshott as the Sword of the Black Prince. 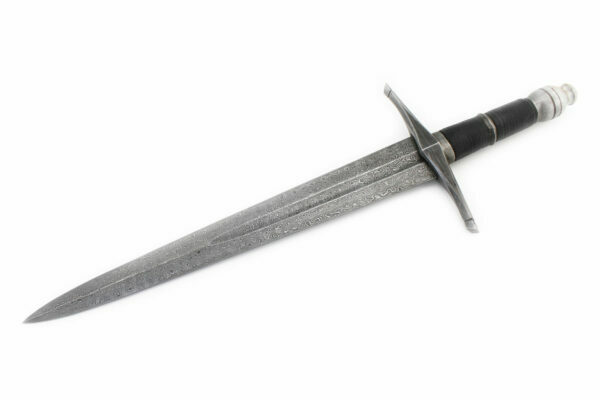 Thought to have been stolen from Edward’s tomb centuries earlier, became one of the most recognizable artefacts of 14th Century Medieval swords. 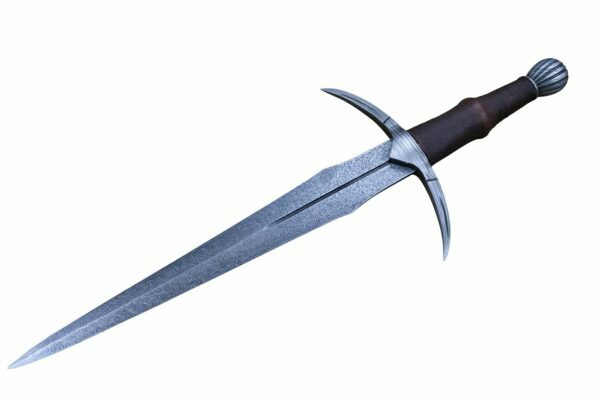 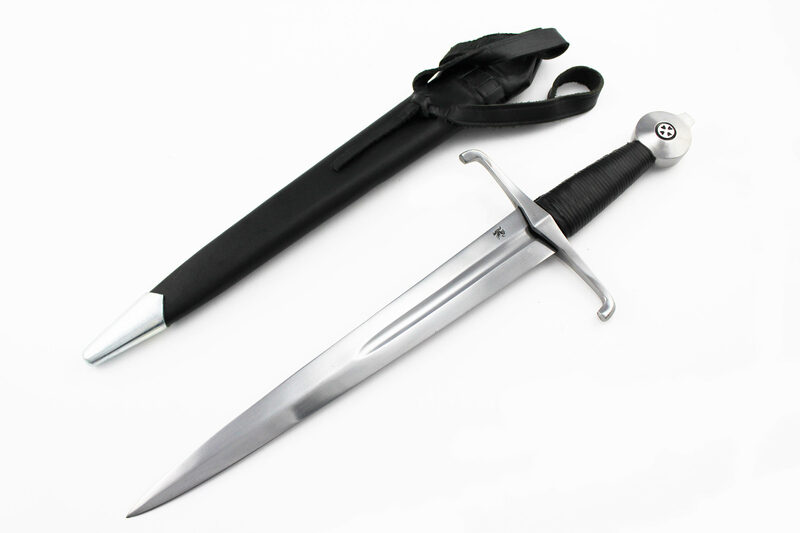 The sword has a long, tapered blade that is ideally suited for thrusting, while still remaining able to make powerful cuts. 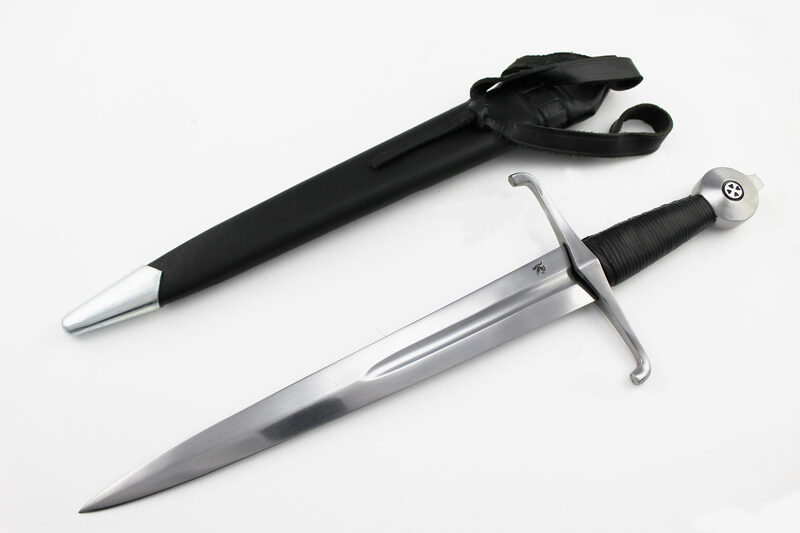 The handle is elongated to provide more leverage, which in combination with the large pommel results in excellent tip control. 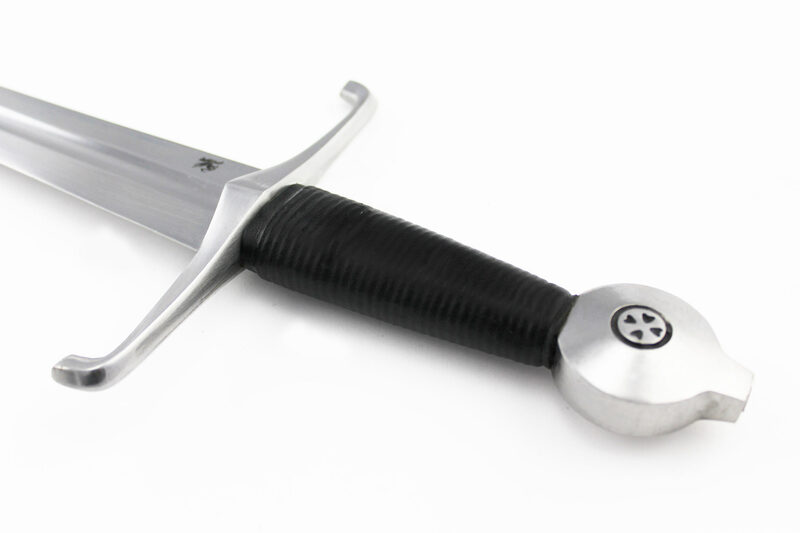 The original has a Type XVa blade, which is faithfully reproduced here. 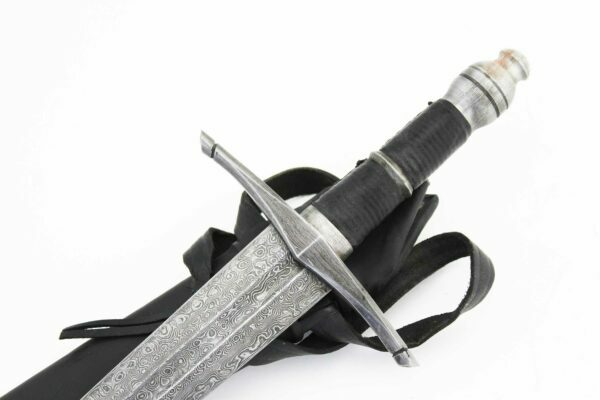 Edward’s “Black Prince” title may have come from his distinctive armor, which according to some sources was blackened steel (although the title may also have come from his temper, mercilessness to his enemies or derision towards the lower classes in spite of his chivalrous beliefs). 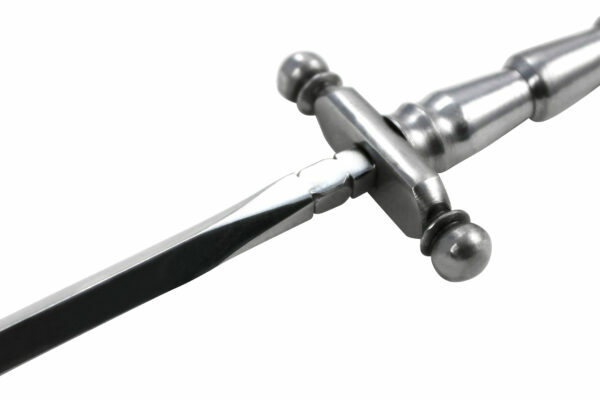 The pommel and guard of this sword have been blackened to reflect that title, and would match the dark platted armor that Edward may have worn. 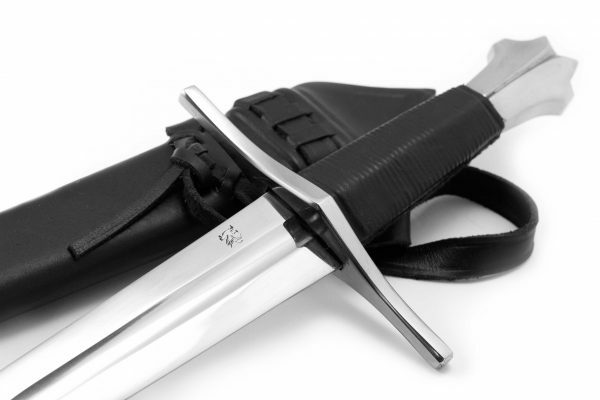 A black leather wrapped handle and upgraded scabbard completes the look. 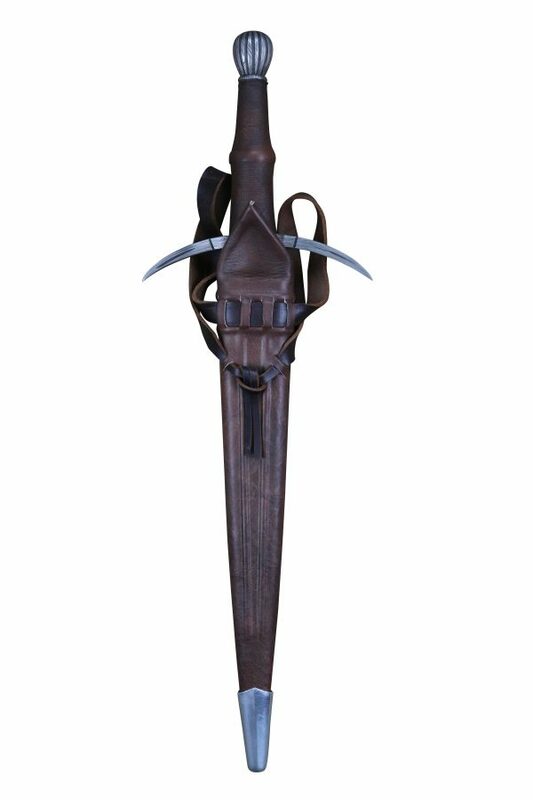 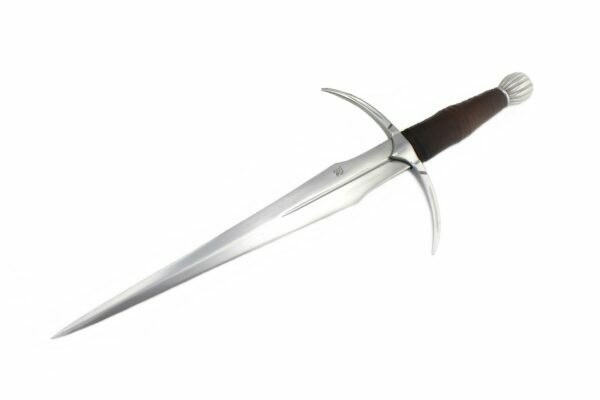 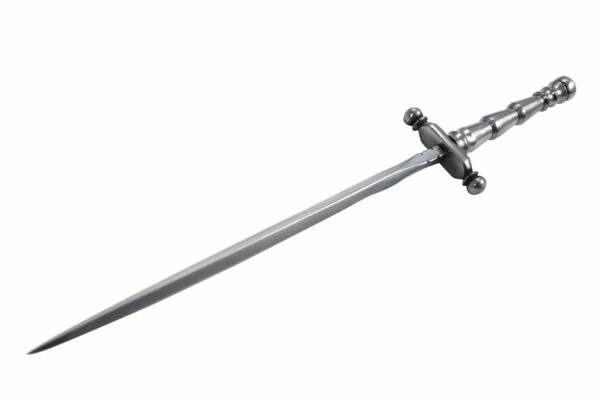 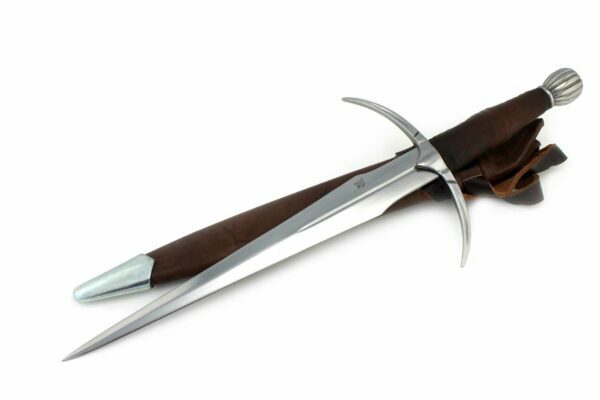 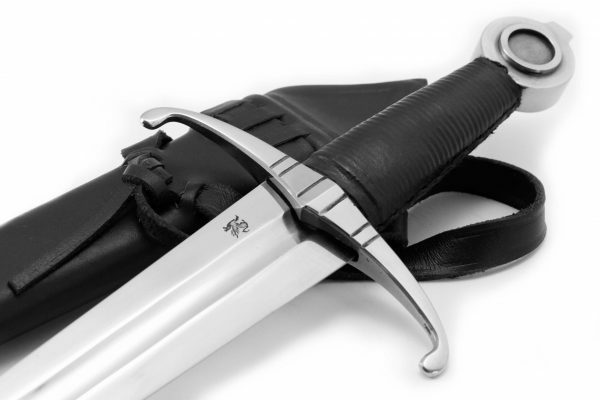 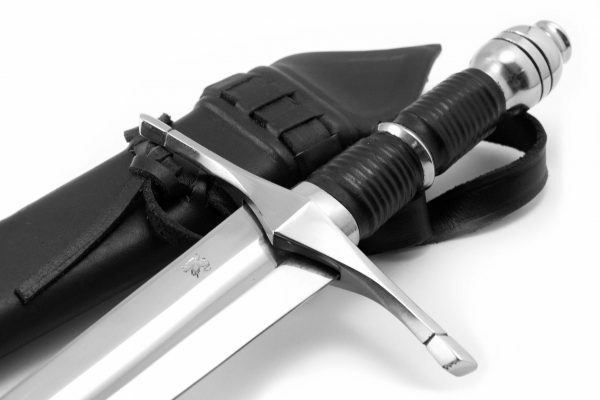 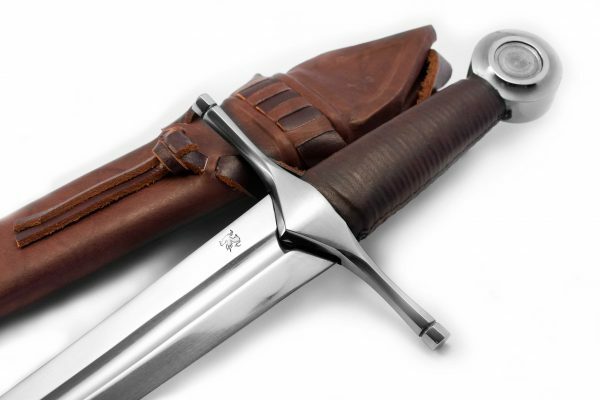 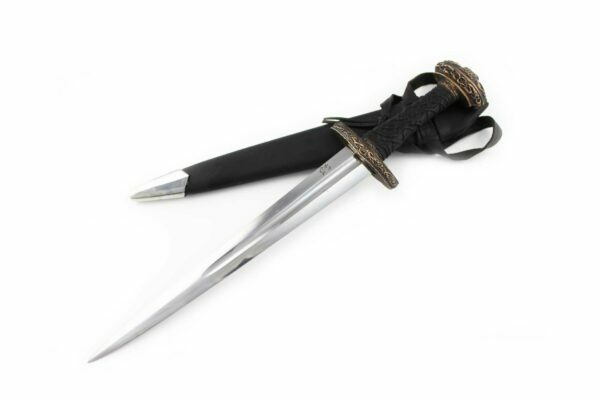 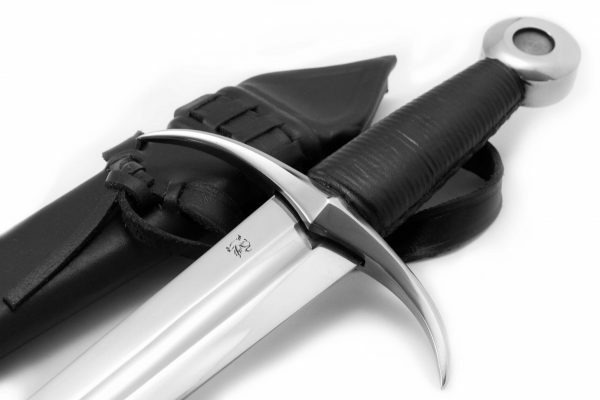 This is the first time that DSA has interpreted this popular design, and would be suitable for anyone who has an interest in Medieval longswords in general or 14th Century interpretations specifically.